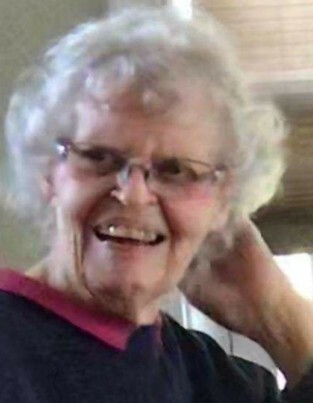 Janet C. Putman, 81, of Saint Marys, died 4:30 A.M. Thursday, January 24, 2019, at her residence. She was born April 16, 1937, in Decatur, Indiana, the daughter of Alfred and Lorine (Blomenberg) Busick. She married Leslie Putman on November 29, 1957, in Decatur; he preceded her in death on August 11, 2002. She is survived by her children: Stephanie (Timothy) Klemm of Harrison, Ohio; Steven (Angie) Putman of Spencerville; Stacey Putman of Saint Marys; Suzy Putman of Saint Marys. She is also survived by her 8 grandchildren: Sean Klemm; Cassandra Gulla; Rachel Putman; Zachary Putman; Rebecca Putman; Hannah Putman; Mary Putman; Sydney Klemm; by four great-grandchildren. Janet is also survived by her twin sister, Janice Mishler of Decatur; and by her siblings Kenneth (Sophie) Busick of Decatur; Joyce (Jim) Gariepy of Decatur. Janet was a 1955 graduate of Monmouth High School, Decatur. She graduated from Ball State University, Muncie. Janet retired from the Valley Nursing Home, Saint Marys, after many years of dedicated service as a nurse. She enjoyed quilting, crocheting, and spending time with her family. She was a member of Zion Lutheran Church, Saint Marys. Funeral rites will be held 11:00 A.M. Monday, January 28, 2019, at the Miller-Long and Folk Funeral Home, 314 West High Street, Saint Marys. Burial will follow at Elm Grove Cemetery. Friends may call from 3-6 P.M. Sunday at the funeral home, where in lieu of flowers, memorial gifts may be given to Grand Lake Hospice. Friends may also call from 10:00-11:00 A.M. Monday at the funeral home.